Fatgirl Hedonist: Headed To The IFBC In Seattle And I Need Your HELP! 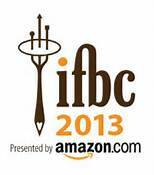 Headed To The IFBC In Seattle And I Need Your HELP! I've never held back the fact that I started a food blog rather blindly without knowing anything about the "blogging world." So when I saw that Foodista was having their International Food Blogger Conference I was like, "That would be kind of cool." Then, I saw the conference is happening in Seattle, WA and my interest was heightened and I thought, "I WANNA GO TO SEATTLE!" So I'm going mostly because I want to check out Seattle, Washington's forestry and all the coffee I can consume in 4 days. Lets face it, I'm two cortaditos away from cooking up some crushed coffee beans and mainlining it into my carotid. So Seattle being the Mecca of coffee in the US, I'm pretty much planning on being hopped up on caffeine my entire time there. The question is now, what coffee places should I hit up? Which ones are a must? No seriously, I'm asking you! If you've ever been to Seattle, what are the best coffee shops? What are the best non-food things to sights in the Seattle area? This goes for things in and outside of the city. Any great parks? I've already heard about the Seattle Gum Wall and have bought a pack of strawberry bubblicious for it. Anything other than the space needle and Pike Place I should check out? Lastly, What do I need to EAT in Seattle? Now this is the really important part. What are the best hole-in-the-walls restaurants? Where's the best bakery? Who's got the best burger?! Where's the best pizza? Tell me! I have to know! So I am begging for your help! 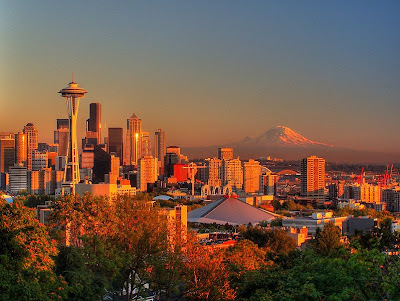 If you've ever been to Seattle, please leave a comment on this post with suggestions, restaurant recommendations, whatever you've got! I went on a great food tour in Seattle with Savor Seattle when I visited in 2010. I'd also recommend going to Kerry Park in the Queen Anne neighborhood for great photo ops of the Seattle skyline.